The latest instalment in the retro phone range is the 80s style 'Twenty-Five Hundred' phone. With a retro block-ish design and in a sharp Lemon Sorbet yellow colour way. 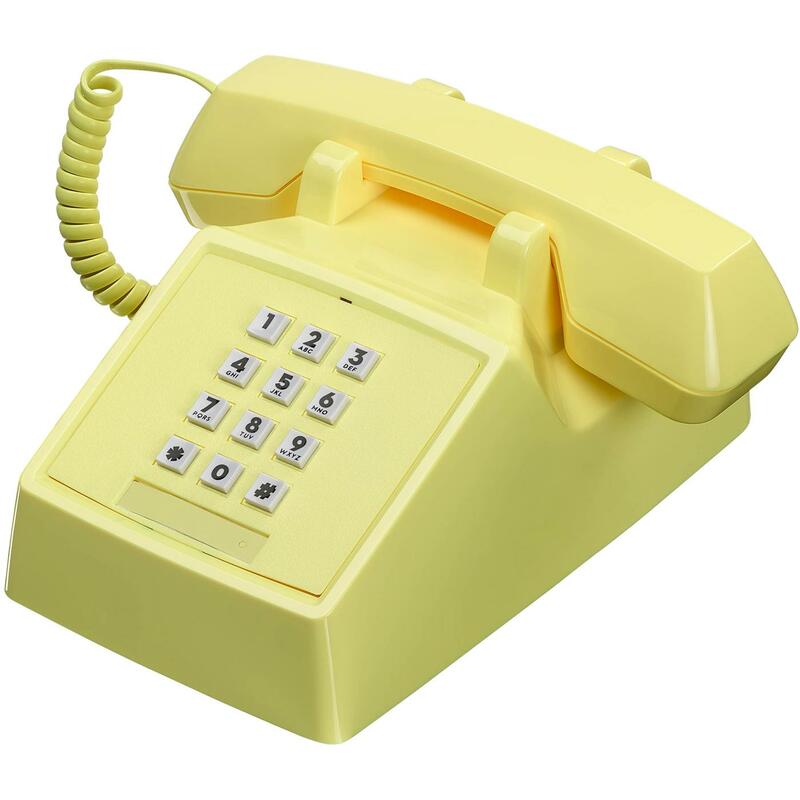 An icon in it's own time, inspired by 80s telecoms design icon, this modernised retro telephone features push button dialling with receiver volume control on handset, and ringer on/off switch. Plugs into a standard UK phone socket. The ultimate retro statement for a home office or lounge. Wild and Wolf 2500 80s inspired retro phone in Lemon Sorbet.